We are engaged in providing a wide range of Die Cutting Corrugated Boxes at highly competitive prices. These are manufactured using premium quality material and are available in the various basic styles and sizes. Our range of products is known all across the world for its superior quality and durability. We also customize our range of products as per the client’s specification. Die Cut Corrugated Boxes have unique designs that requires angular, circular or other unusual cuts, slots, and scores. These boxes may also feature perforated lines, ventilation holes or access holes. Our commitment to quality is well known throughout the industry and many of our customers have been with us since beginning. 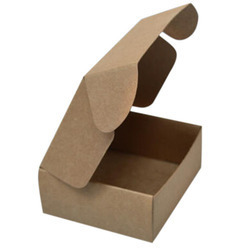 Looking for Die Cutting Corrugated Boxes ?